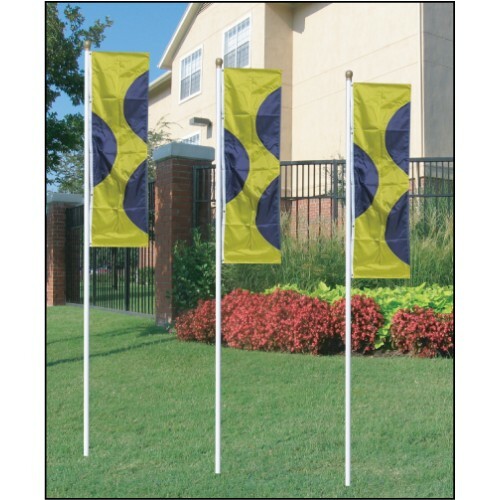 Our popular White Giant flag poles are an excellent choice for colored flags. White Giants are made of heavy duty steel and come complete with a vinyl gold color ball, ground socket, nylon rope, pulley, cleat and nylon grommet clips. The poles, of course, are white in color. The most popular size of White Giant poles is 18 feet. We offer the 12 foot poles, but be aware that they may be too short for hanging drape style flags.